Bend the knee to our new Gravekeeper overlords. First, rulings for the new cards. Q: When my face-up Attack Position Blue-Eyes White Dragon declares an attack, I activate the effect of Passionate Duelists that negates my attack and destroys a Spell/Trap Card on my opponent’s field. If my opponent chains Compulsory Evacuation Device or Raigeki Break to the effect, so that Blue-Eyes White Dragon is no longer on the field, how does the effect resolve? A: In this scenario, if the attacking Blue-Eyes White Dragon leaves the field because of the effect of Compulsory Evacuation Device or Raigeki Break, the effect of Passionate Duelists cannot negate the attack, and the targeted card is not destroyed. Q: When my face-up Attack Position Dark Magician declares an attack, I activate the effect of Passionate Duelists that negates my attack and destroys a Spell/Trap Card on my opponent’s field. If my opponent chains Forbidden Lance to the effect, so that Dark Magician becomes unaffected by the effects of Spell Cards, how does the effect resolve? Q: I Set a Spell/Trap Card from my hand to my Spell & Trap Zone. During the same turn, if I activate Passionate Duelists, will I be able to Set another Spell/Trap Card from my hand this turn? A: The effect of Passionate Duelists that allows each player to Set only 1 Spell/Trap Card from their hand per turn is applied while Passionate Duelists is face-up in the Spell & Trap Zone. As in this scenario, the effect of Passionate Duelists does not include any Spell/Trap Cards that were Set from your hand this turn before you activated the card, so you can still Set 1 more Spell/Trap Card this turn while the effect of Passionate Duelists is applying. Q: I Special Summoned a Blue-Eyes Ultimate Dragon from my Extra Deck this turn. During the same turn, if I activate Passionate Duelists, can Blue-Eyes Ultimate Dragon attack this turn? A: The effect of Passionate Duelists that prevents monsters from attacking during the turn they are Special Summoned from the Extra Deck also applies to monsters that were Special Summoned before the card was activated. Therefore, in this scenario, the Blue-Eyes Ultimate Dragon that was Special Summoned from the Extra Deck this turn cannot attack. 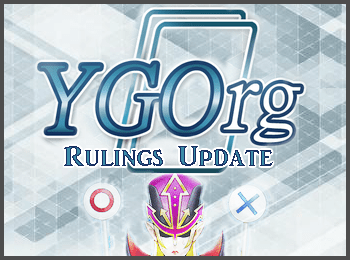 Q: Passionate Duelists is face-up on my field, and its effect that prevents monsters from attacking during the turn they are Special Summoned from the Extra Deck is applying. In this situation, if I Synchro Summon a Metaphys Horus using a Normal Monster as a Synchro Material monster, so that it is unaffected by other cards’ effects this turn, can it attack? A: The effect of Passionate Duelists that prevents monsters from attacking during the turn they are Special Summoned from the Extra Deck is an effect that is applied to those monsters. In this scenario, since Metaphys Horus is unaffected by the effects of other cards, it can attack this turn even while the effect of Passionate Duelists is applying. Q: Passionate Duelists is face-up on my field, and its effect that prevents monsters from attacking during the turn they are Special Summoned from the Extra Deck is applying. In this situation, will monsters Special Summoned from my opponent’s Extra Deck be able to attack during the same turn? A: The effect of Passionate Duelists that prevents monsters from attacking during the turn they are Special Summoned from the Extra Deck applies to monsters that were Special Summoned from either player’s Extra Deck. Monsters Special Summoned from your opponent’s Extra Deck cannot attack during the same turn. Q: If I have no cards in my Deck, can I activate the effect of Passionate Duelists that adds a monster from my Graveyard to my hand instead of conducting a normal draw? Furthermore, if I activate that effect of Passionate Duelists, but then chain Needlebug Nest so that I have no cards left in my Deck, how does the effect resolve? Q: If I activated the effect of Passionate Duelists that adds a monster from my Graveyard to my hand instead of conducting a normal draw, can I choose a Fusion, Synchro, or Xyz Monster in my Graveyard? A: Yes, you can. In that case, that Fusion/Synchro/Xyz Monster is returned to your Extra Deck instead of being added to your hand. Q: I activate the effect of Passionate Duelists that adds a monster from my Graveyard to my hand instead of conducting a normal draw. If my opponent chains Mystical Space Typhoon and destroys Passionate Duelists, how does the effect resolve? A: When resolving the effect of Passionate Duelists during your Draw Phase, if Passionate Duelists itself has been destroyed by the effect of a card such as Mystical Space Typhoon, you cannot add a monster from your Graveyard to your hand instead of conducting your normal draw. In this case, you draw normally and continue the Duel. Q: If I have a Gagaga Magician on my field treated as a Level 8 monster by its own effect, can I activate Chaos Scepter Blast? A: Chaos Scepter Blast can be activated as long as there is a Level 8 or higher Spellcaster-Type monster face-up in your Monster Zone. In this scenario, although Gagaga Magician is originally Level 4, it is currently Level 8 due to its own effect, so you can activate Chaos Scepter Blast. Q: While I have a Magician of Black Chaos on my field, I activate Chaos Scepter Blast. If my opponent chains Raigeki Break, and Magician of Black Chaos is destroyed and sent to the Graveyard, how does the effect of Chaos Scepter Blast resolve? A: Even if you no longer have a Level 8 or higher Spellcaster-Type monster on your field when resolving the effect of Chaos Scepter Blast, you still banish a card on the field face-down normally. Q: Can I activate the effect of Diabound Kernel that reduces the ATK of an opponent’s monster by its own ATK, by targeting an opponent’s monster with 0 ATK? A: Yes, you can. In that case, although the ATK of the opponent’s monster remains 0 as a result, it is still considered to have lost ATK due to this effect, so Diabound Kernel is banished until the next Standby Phase normally. Q: If the ATK of my Diabound Kernel has become 0 due to the effect of Ghost of a Grudge, can I activate its effect that reduces the ATK of an opponent’s monster by its own ATK? A: If the ATK of Diabound Kernel is 0, you cannot reduce the ATK of an opponent’s monster, so the effect cannot be activated. Q: I activate the effect of Diabound Kernel that reduces the ATK of an opponent’s monster by its own ATK, targeting my opponent’s Blue-Eyes White Dragon. If Book of Moon is chained to this effect, and Blue-Eyes White Dragon is changed to face-down Defense Position, how does the effect of Diabound Kernel resolve? A: In this scenario, if the monster targeted with the effect of Diabound Kernel has been changed to face-down Defense Position when resolving the effect, its ATK cannot be reduced. In that case, Diabound Kernel is not banished and remains face-up on the field. Q: I activate the effect of Diabound Kernel that reduces the ATK of an opponent’s monster by its own ATK, targeting my opponent’s Blue-Eyes White Dragon. If Book of Moon is chained to this effect, and Diabound Kernel is changed to face-down Defense Position, how does its effect resolve? A: In this scenario, if Diabound Kernel has been changed to face-down Defense Position when resolving its effect, the ATK of the opponent’s monster cannot be reduced. In that case, Diabound Kernel is not banished and remains in face-down Defense Position. Q: If the only face-up monster on my field is Harpie’s Pet Dragon, can I activate Harpie’s Feather Storm? A: Harpie’s Feather Storm can only be activated if you have a WIND Winged Beast-Type monster on your field. Harpie’s Pet Dragon is a “Harpie” monster, but not a WIND Winged Beast-Type monster. Therefore, if it is the only face-up monster on your field, you cannot activate Harpie’s Feather Storm. Q: I activated Harpie’s Feather Storm this turn. In this situation, if my opponent activates the effect of Effect Veiler from their hand, or the effect of Electromagnetic Turtle from their Graveyard, will that effect be negated? A: While the effect of Harpie’s Feather Storm is applying, all monster effects activated by the opponent are negated, including those that are not activated on the field. Therefore, even if your opponent activates the effect of Effect Veiler or Electromagnetic Turtle, the effect is negated. Q: If my opponent activates the effect of Gandora the Dragon of Destruction, which destroys my Set Harpie’s Feather Storm and banishes it, can I activate the effect of Harpie’s Feather Storm that adds Harpie’s Feather Duster from my Deck to my hand? A: In this scenario, if your Set Harpie’s Feather Storm is destroyed and banished by the effect of your opponent’s Gandora the Dragon of Destruction, you can still activate its effect that adds Harpie’s Feather Duster from your Deck to your hand. Q: When activating the effect of Elemental HERO Honesty Neos that increases its own ATK, can I discard a Destiny HERO – Dark Angel? A: Since Destiny HERO – Dark Angel has 0 ATK, you cannot discard it to activate the effect of Elemental HERO Honesty Neos. Q: I activate the effect of Elemental HERO Honesty Neos by discarding an Evil HERO Malicious Edge. If my opponent chains the effect of D.D. Crow and banishes that Evil HERO Malicious Edge from the Graveyard, how does the effect of Elemental HERO Honesty Neos resolve? Q: If the only face-up monsters on my opponent’s field are Pendulum Monsters or Tokens, can I activate Skydive Scorcher? A: Even if the only face-up monsters on your opponent’s field are Pendulum Monsters or Tokens, you can activate Skydive Scorcher as long as there is a face-up “Elemental HERO” Fusion Monster on your field to target that has less ATK than any of those monsters. In that case, the effect of Skydive Scorcher destroys the appropriate monsters normally, but the destroyed Pendulum Monsters are placed face-up in the Extra Deck and the Tokens disappear from the field. Thus, the remaining effects of Skydive Scorcher will not be applied. Q: If Macro Cosmos is face-up on the field, can I activate Skydive Scorcher? A: Yes, you can. In that case, the effect of Skydive Scorcher destroys the appropriate monsters normally, but the destroyed monsters are banished instead of sent to the Graveyard, and the remaining effects of Skydive Scorcher will not be applied. Q: I activate Skydive Scorcher targeting a face-up Elemental HERO Flame Wingman on my field. If Book of Moon is chained, and Elemental HERO Flame Wingman is changed to face-down Defense Position, how does Skydive Scorcher resolve? A: When resolving the effect of Skydive Scorcher, if the targeted “Elemental HERO” Fusion Monster has been changed to face-down Defense Position, the effects are not applied. Q: A face-up Phantom of Chaos on my field has gained the name and effects of Uria, Lord of Searing Flames. In this situation, can I activate the effect of Fallen Paradise that draws cards? Q: While I have a Hamon, Lord of Striking Thunder on my field, I activate the effect of Fallen Paradise that draws cards. If my opponent chains Book of Eclipse, changing Hamon, Lord of Striking Thunder to face-down Defense Position, how does the effect of Fallen Paradise resolve? A: When resolving the effect of Fallen Paradise, even if Hamon, Lord of Striking Thunder, etc. is no longer face-up on the field, you draw 2 cards normally. Q: Can I equip White Veil to an opponent’s monster? A: Yes, you can equip White Veil to an opponent’s monster. Since you control the activated White Veil, the effect that prevents the opponent from activating Spell/Trap Cards while the equipped monster is battling still refers to “your opponent” as viewed by the controller of White Veil. Likewise, when the equipped monster declares an attack, the opponent’s face-up Spell/Trap Cards as viewed by the controller of White Veil will be negated. When the equipped monster destroys an opponent’s monster by battle, the effect that destroys the opponent’s Spell/Trap Cards is activated by the player controlling White Veil, and their opponent’s Spell/Trap Cards are destroyed. Note that if White Veil leaves the field, the effect that inflicts damage is applied normally, and you take 3000 damage. Q: Imperial Order is face-up on my opponent’s field, and the effects of my equipped White Veil are negated. In this situation, if my opponent Special Summons an Artifact Moralltach during my turn and destroys White Veil, will I take 3000 damage from the effect of White Veil? A: In this scenario, since the effects of White Veil are negated by Imperial Order, you do not take 3000 damage when White Veil leaves the field. Q: If a White Veil equipped to a monster on my field is returned to the Deck by the effect of Phoenix Wing Wind Blast, will I take 3000 damage from the effect of White Veil? A: Even in this scenario, since White Veil left the field while face-up in the Spell & Trap Zone, you will take 3000 damage. Q: I activate White Veil, targeting an Armed Dragon LV10 on my field. If my opponent chains Mystical Space Typhoon and destroys White Veil, will I take 3000 damage from its effect? A: As in this scenario, if Mystical Space Typhoon is chained to the activation of White Veil, destroying it before the card has resolved, you do not take 3000 damage from its effect. Q: While White Veil is equipped to Cyber Angel Benten, if Book of Moon is activated and changes Cyber Angel Benten to face-down Defense Position, will I take 3000 damage from the effect of White Veil? Also, if the equipped Cyber Angel Benten is destroyed by battle and sent to the Graveyard instead, will I take 3000 damage from the effect of White Veil? A: As in these scenarios, when a monster equipped with White Veil is flipped face-down or destroyed by battle, White Veil loses its appropriate target and is destroyed. In this case, the effect of White Veil is applied and you take 3000 damage. Q: My opponent’s face-up Attack Position Reaper of the Cards with 1380 ATK declares a direct attack. During damage calculation, if I activate Power Wall, how many cards do I sent from the top of my Deck to the Graveyard with its effect? A: In this scenario, since the battle damage you would take is 1380, you must send 3 cards from the top of your Deck to the Graveyard to reduce that damage to 0. Q: When a monster on my field battles an opponent’s monster, if I activate Power Wall during damage calculation, will my monster still be destroyed by battle? A: When the effect of Power Wall is applied, the battle damage you would take becomes 0, but your monster can still be destroyed by battle and sent to the Graveyard normally. Q: While the effect of Macro Cosmos is applying, can I still activate Power Wall during damage calculation if I would take battle damage? A: Even while the effect of Macro Cosmos is applying, you can activate Power Wall. In that case, all cards that would be sent from the top of your Deck to the Graveyard are banished instead, but the battle damage you would take is still reduced to 0 normally. Q: If the effect of my Waboku is applying during this turn, can I still activate Power Wall during damage calculation if I would take battle damage? A: In this scenario, if the effect of Waboku is applying, you take no battle damage from your opponent’s monsters. Therefore, you cannot activate Power Wall during damage calculation. Q: My opponent’s Ebon Illusion Magician with 2500 ATK attacks my face-up Attack Position Cyber Dragon Core with 400 ATK. As Chain Link 1 during damage calculation, my opponent activates the effect of Apprentice Illusion Magician that increases the ATK and DEF of the battling DARK Spellcaster-Type monster by 2000. In this case, can I chain Power Wall? Q: My opponent’s Ebon Illusion Magician with 2500 ATK attacks my face-up Attack Position Cyber Dragon Core with 400 ATK. As Chain Link 1 during damage calculation, I activate Power Wall. If my opponent chains the effect of Apprentice Illusion Magician that increases the ATK and DEF of the battling DARK Spellcaster-Type monster by 2000, what happens? A: In this scenario, when the effect of Apprentice Illusion Magician is applied, your opponent’s Ebon Illusion Magician gains 2000 ATK and DEF. Then, when Power Wall resolves, the battle damage you would take in the current state is 4100, so you send 9 cards from the top of your Deck to the Graveyard. You take no battle damage from this battle, but Cyber Dragon Core is destroyed and sent to the Graveyard normally. Note that when you resolve the effect of Power Wall in this scenario, if you have fewer than 9 cards in your Deck, you cannot send any cards from the top of your Deck to the Graveyard, so you take 4100 damage normally. Q: Can I activate Brain Control targeting an Embodiment of Apophis treated as a monster by its own effect on my opponent’s field? A: Brain Control is activated by targeting a face-up monster on your opponent’s field that can be Normal Summoned/Set. An Embodiment of Apophis treated as a monster by its own effect is not a monster that can be Normal Summoned/Set, so it cannot be targeted with Brain Control. Q: Dragunity Phalanx is treated as an Equip Card equipped to a Dragunity Dux. In this situation, if I activate the effect of Dragunity Phalanx that Special Summons it to the Monster Zone, but my opponent chains Imperial Order, how does the effect resolve? Q: While the effect of Necrovalley is applying, can I Special Summon a Grapha, Dragon Lord of Dark World from my Graveyard with its own effect? Author’s note: There is a difference here between cards like Grapha and monsters like Infernoid Onuncu. Although both Special Summons do not start Chains, Grapha’s Special Summon is through an inherent-Special Summon effect, while Onuncu’s Special Summon is a true Summoning condition. Onuncu is a Special Summon-only monster, while Grapha is not. Monsters like Cyber Dragon and Chaos Sorcerer differ from each other in the same way. As a result, you can still Special Summon an Infernoid Onuncu from your Graveyard while Necrovalley is applying, as long as you banish the 3 “Infernoid” monsters from your hand. Q: While the effect of Necrovalley is applying, if a face-up Beast-Type monster on my field is destroyed by a card effect and sent to the Graveyard, can I activate the effect of Green Baboon, Defender of the Forest that Special Summons it? A: While the effect of Necrovalley is applying, if you activate the effect of a Green Baboon, Defender of the Forest in your hand, it is not affected by Necrovalley and you can Special Summon it normally. Note that if you activate the effect of a Green Baboon, Defender of the Forest in your Graveyard, it will be an effect that is applied to a card(s) in the Graveyard. In that case, you can still activate the effect, but it is negated by Necrovalley. Q: While the effect of Necrovalley is applying, can I activate the effect of a Sinister Serpent in my Graveyard during my Standby Phase? A: Even while the effect of Necrovalley is applying, you can activate the effect of a Sinister Serpent in your Graveyard. However, the effect of Sinister Serpent is applied to a card in the Graveyard, so it will be negated by Necrovalley. (Sinister Serpent is not added to your hand.) Note that after the effect of Sinister Serpent has resolved normally, if the effect of Necrovalley is applied by the time you reach your opponent’s next End Phase, you cannot apply the effect of Sinister Serpent that banishes a copy of Sinister Serpent from your Graveyard. Q: While the effect of Necrovalley is applying, if my Madolche Mewfeuille is destroyed by my opponent’s card and sent to the Graveyard, will the effect that returns it to the Deck be negated? Q: While the effect of Necrovalley is applying, if my face-up The Supremacy Sun on the field was destroyed and sent to the Graveyard, will the effect that Special Summons it from the Graveyard during the Standby Phase of the next turn be negated? Q: While the effect of Necrovalley is applying, if my Sylvan Princessprout is excavated from the Deck and sent to the Graveyard by a card effect, can I activate its effect that Special Summons it from the Graveyard? Q: Both the effects of Necrovalley and Shadow-Imprisoning Mirror are applying. In this situation, if the effect of Sangan is activated when it is sent from the field to the Graveyard, or if the effect of Black Dragon’s Chick is activated by sending it from the field to the Graveyard, what happens? A: The effect of Shadow-Imprisoning Mirror is not an effect that is applied to a card(s) in the Graveyard, so even while the effect of Necrovalley is applied, the effect of Shadow-Imprisoning Mirror is also applied normally. Neither the effect of Sangan that activates in the Graveyard, nor the effect of Black Dragon’s Chick that activates on the field, are effects that are applied to a card(s) in the Graveyard, but both will be negated by Shadow-Imprisoning Mirror. Author’s note: As I mentioned before, even though I’m using language closer to what is written in the Japanese text of Necrovalley, the definition of “applied to cards in the Graveyard” is still the same as what the TCG text has written; to make a card leave the Graveyard. This is why Shadow-Imprisoning Mirror is not negated by Necrovalley. Q: While the effect of Necrovalley is applying, will the effect of The End of Anubis be negated? Q: While the effect of Necrovalley is applying, can I activate Forbidden Graveyard? Q: While the effect of Necrovalley is applying, when my opponent activates Raigeki Break, if I chain the effect of Cyber Angel Vrash by returning a Ritual Monster from my Graveyard to my Deck, how does the effect resolve? A: The effect of Cyber Angel Vrash returns a Ritual Monster from your Graveyard to your Deck as an activation cost, but since the effect is not one that is applied to a card(s) in the Graveyard, it is not negated by Necrovalley and resolves normally. Q: While the effect of Necrovalley is applying, if I activate the effect of a Fairy Tail – Snow in my Graveyard, can I banish cards from my Graveyard along with Necrovalley as the activation cost? A: In this scenario, while the effect of Necrovalley is applying, you cannot banish cards from your Graveyard, so you cannot activate the effect of a Fairy Tail – Snow in your Graveyard unless you can banish 7 cards from your hand and/or field. (Even if you banish Necrovalley among the 7 cards, you cannot banish any cards from your Graveyard.) Also note that the effect of Fairy Tail – Snow is an effect that is applied to a card(s) in the Graveyard, so if Necrovalley is not banished as part of the cost to activate the effect, the effect of Fairy Tail – Snow will be negated. Q: While the effect of Necrovalley is applying, can I Special Summon an ABC-Dragon Buster from my Extra Deck with its own procedure? A: In this scenario, since the effect of Necrovalley is applying, neither player can banish cards from the Graveyard. If you have A-Assault Core, B-Buster Drake, and C-Crush Wyvern on your field, you can banish them from the field to Special Summon ABC-Dragon Buster. Q: While the effect of Necrovalley is applying, if a monster on my field attacks my opponent’s Gravekeeper’s Nobleman and destroys it by battle, can I chain Debunk to the effect of Gravekeeper’s Nobleman? A: In this scenario, if Debunk is chained to the effect of Gravekeeper’s Nobleman, the effect of Debunk would banish a card from the Graveyard. Since the effect of Necrovalley prevents players from banishing cards from the Graveyard, you cannot activate Debunk in this case. Q: While the effect of Necrovalley is applying, can I activate the effects of Darklord Ixchel, Darklord Tezcatlipoca, Darklord Nasten, or Darklord Amdusc that copy the effect of a “Darklord” Spell/Trap Card in the Graveyard? Q: While the effect of Necrovalley is applying, can I activate Crystron Entry? Q: While the effect of Necrovalley is applying, when a face-up “Performage” monster(s) on my field is destroyed by battle or card effect and sent to the Graveyard, can I activate Trick Box? Q: While the effect of Necrovalley is applying, if a face-up Level 7 or lower “Red-Eyes” monster on my field is destroyed by my opponent’s attack or card effect and sent to the Graveyard, can I activate the effect of a Red-Eyes Retro Dragon in my hand? Q: While the effect of Necrovalley is applying, can I activate the “● 10” effect of Chosen of Zefra? Q: While the effect of my opponent’s Necrovalley is applying, can I activate Kozmojo? A: Even while the effect of your opponent’s Necrovalley is applying, you can activate Kozmojo. In that case, the effect of Kozmojo destroys the targeted “Kozmo” monster normally, but since you cannot banish any cards from the Graveyard, you must choose a card on your opponent’s field to banish. Q: While the effect of Necrovalley is applying, can I activate the effect of Red-Eyes Darkness Metal Dragon? Q: While the effect of Necrovalley is applying, can I activate the Pendulum Effects of Igknight Squire, Igknight Crusader, Igknight Templar, Igknight Paladin, Igknight Margrave, Igknight Gallant, Igknight Cavalier, or Igknight Veteran? Q: While the effect of Necrovalley is applying, if I activate Polymerization and send Lunalight Black Sheep to the Graveyard as a Fusion Material monster, can I activate its effect that adds a “Lunalight” monster from my Graveyard or Extra Deck to my hand? Q: While the effect of Necrovalley is applying, if I Special Summon a Tamtam the Melodious Diva, can I activate its effect that adds a Polymerization from my Deck or Graveyard to my hand? Q: While the effect of Necrovalley is applying, can I activate the monster effect of Performapal Trump Witch? Q: While the effect of Necrovalley is applying, can I activate the “● 3 Counters” effect of Yosen Training Grounds? Q: While the effect of Necrovalley is applying, if my Hieratic Dragon of Gebeb is Tributed, will its effect that Special Summons a “Hieratic” Normal Monster from my hand, Deck, or Graveyard activate? Q: While the effect of Necrovalley is applying, if a monster on my field is destroyed by battle or card effect, can I activate Scramble Egg? Q: While the effect of Necrovalley is applying, when my Senior Silver Ninja is flipped face-up, can I activate its effect? Q: While the effect of Necrovalley is applying, can I activate Illusion Magic? Q: While the effect of Necrovalley is applying, can I activate Miracle Contact? Q: While the effect of Necrovalley is applying, if my Marshmacaron is destroyed by battle or card effect, can I activate its effect that Special Summons up to 2 copies of Marshmacaron from my hand, Deck, or Graveyard? A: Even while the effect of Necrovalley is applying, you can activate the effect of Marshmacaron. When the effect resolves, you will Special Summon up to 2 copies of Marshmacaron from your hand or Deck, but if the only copies of Marshmacaron that you can Special Summon are in your Graveyard, the effect is not applied. Q: While the effect of Necrovalley is applying, or if the effect of my opponent’s Kycoo the Ghost Destroyer is applying, can I activate the effect of Trishula, Dragon of the Ice Barrier? A: In this scenario, due to the effect of your opponent’s Kycoo the Ghost Destroyer (or Necrovalley), you cannot banish any cards from the Graveyard. Even in that scenario, you can activate the effect of Trishula, Dragon of the Ice Barrier, but you can only banish up to 2 of your opponent’s cards (1 each from their hand and field.) Even if you banish Kycoo the Ghost Destroyer or Necrovalley on the field, you cannot banish any cards from the Graveyard. Q: While the effect of Necrovalley is applying, or if the effect of my opponent’s Kycoo the Ghost Destroyer is applying, can I activate the effect of Nekroz of Sophia when it is Ritual Summoned? Q: While the effect of Necrovalley is applying, can I activate the effect of True King Bahrastos, the Fathomer that Special Summons it? Q: While the effect of Necrovalley is applying, can I activate Xyz Encore? Q: While the effect of Necrovalley is applying, when my opponent declares a direct attack, can I activate Stardust Re-Spark? Q: While the effect of my opponent’s Necrovalley is applying, can I activate the effect of Crystron Phoenix that banishes all Spell/Trap Cards from my opponent’s field and Graveyard? A: In this scenario, while the effect of your opponent’s Necrovalley is applying, you cannot activate the effect of Crystron Phoenix when it is Synchro Summoned if there are any Spell/Trap Cards in your opponent’s Graveyard. If there are no Spell/Trap Cards in your opponent’s Graveyard, you can activate the effect of your Synchro Summoned Crystron Phoenix, and all Spell/Trap Cards on your opponent’s field will be banished normally (including Necrovalley). Q: While the effect of Necrovalley is applying, can I activate the effect of Drill Warrior that banishes it from my side of the field? A: Even in this scenario, you can activate the effect of Drill Warrior, and it will be banished normally. However, during your next Standby Phase, since the effect of Drill Warrior that Special Summons it and adds a monster from your Graveyard to your hand is an effect that is applied to a card(s) in the Graveyard, it will be negated by Necrovalley. (Drill Warrior is not Special Summoned and remains banished.) Note that when the effect of Drill Warrior resolves during your Standby Phase, if there are no monsters in your Graveyard, it will not be an effect that is applied to a card(s) in the Graveyard, so Drill Warrior will be Special Summoned normally. Q: While the effect of Necrovalley is applying, can I activate Trial and Tribulation? Also, after Trial and Tribulation is activated, if the effect of Necrovalley is applying during the End Phase of that turn, will the effects of Trial and Tribulation apply? Q: While the effect of my opponent’s Necrovalley is applying, if I activate Madolche Chateau, which effects will be negated? A: The effect of Madolche Chateau that returns any “Madolche” monsters in your Graveyard to the Deck when it is first activated is an effect that is applied to a card(s) in the Graveyard, and that effect will be negated by Necrovalley, but Madolche Chateau will remain on the field and its effect that increases the ATK and DEF of all “Madolche” monsters on the field by 500 applies normally. Note that since the effects of “Madolche” monsters such as Madolche Mewfeuille that return them to the Deck when they are destroyed by the opponent’s cards are effects that are applied to a card(s) in the Graveyard, and are negated by Necrovalley, the effect of Madolche Chateau that adds them to your hand instead cannot be applied as a result. Q: Can Starving Venom Fusion Dragon be Fusion Summoned with the effect of Future Fusion? A: When the first effect of Future Fusion resolves, you must reveal 1 Fusion Monster from your Extra Deck and send its required Fusion Material monsters from your Main Deck to the Graveyard. The Fusion Material monsters required to Fusion Summon Starving Venom Fusion Dragon are 2 non-Token DARK monsters on the field, so they cannot exist in your Deck. Thus, you cannot Fusion Summon Starving Venom Fusion Dragon with the effect of Future Fusion, nor send its Fusion Materials from your Deck to the Graveyard. Q: Can ABC-Dragon Buster be Fusion Summoned with the effect of Future Fusion? A: When the first effect of Future Fusion resolves, you must reveal 1 Fusion Monster from your Extra Deck and send its required Fusion Material monsters from your Main Deck to the Graveyard. ABC-Dragon Buster must first be Special Summoned by its own procedure, and cannot be Fusion Summoned. Thus, you cannot Fusion Summon ABC-Dragon Buster with the effect of Future Fusion, nor send its Fusion Materials from your Deck to the Graveyard. Q: Can Windwitch – Crystal Bell be Fusion Summoned with the effect of Future Fusion? A: When the first effect of Future Fusion resolves, you must reveal 1 Fusion Monster from your Extra Deck and send its required Fusion Material monsters from your Main Deck to the Graveyard. The Fusion Material monsters required to Fusion Summon Windwitch – Crystal Bell are Windwitch – Winter Bell and 1 other “Windwitch” monster, but since Windwitch – Winter Bell is a Synchro Monster, it cannot be sent from your Deck to the Graveyard. Thus, you cannot Fusion Summon Windwitch – Crystal Bell with the effect of Future Fusion, nor send its Fusion Materials from your Deck to the Graveyard. Q: Can Barbaroid, the Ultimate Battle Machine be Fusion Summoned with the effect of Future Fusion? A: You can Fusion Summon Barbaroid, the Ultimate Battle Machine with the effect of Future Fusion. In that case, when resolving the first effect of Future Fusion during your next Standby Phase after activating it, you must send 5 Machine-Type “roid” monsters from your Deck to the Graveyard. Q: Can Elemental HERO Absolute Zero be Fusion Summoned with the effect of Future Fusion? Furthermore, when resolving the first effect of Future Fusion during my next Standby Phase, can I send King of the Swamp from my Deck to the Graveyard as Fusion Material for Elemental HERO Absolute Zero? Q: When applying the first effect of Future Fusion during my next Standby Phase after activating it, if I reveal a Predaplant Chimera Rafflesia from my Extra Deck, can I send Predaplant Drosophyllym Hydra and Parasite Fusioner from my Deck to the Graveyard? A: Monsters sent from the Deck to the Graveyard by the effect of Future Fusion must be monsters that can be used as Fusion Materials for a Fusion Summon. Parasite Fusioner cannot be used as a Fusion Material monster unless its effect that substitutes it for another Fusion Material is applied, so it cannot be sent to the Graveyard with the effect of Future Fusion. In this scenario, Predaplant Chimera Rafflesia requires 1 “Predaplant” monster and 1 DARK monster as Fusion Materials, and if there are no other DARK monsters in your Deck to use, the effect of Future Fusion is not applied and no monsters are sent to the Graveyard. Q: When Future Fusion is activated, can Solemn Warning be chained to negate the activation? A: Future Fusion does not have an effect that includes a Special Summon when the card itself resolves, so its activation cannot be negated by Solemn Warning. Furthermore, since Solemn Warning cannot be chained to the effects of Spell/Trap Cards, neither effect of Future Fusion that activates during your subsequent Standby Phases can have its activation negated by Solemn Warning. Q: Can I activate Future Fusion if I have no available Monster Zones on my field? A: Even if you have no available Monster Zones, you can activate Future Fusion. Then, during your next Standby Phase, the effect that reveals 1 Fusion Monster from your Extra Deck and sends its Fusion Materials from your Main Deck to the Graveyard is applied normally. During your second Standby Phase after activating Future Fusion, if you do not have available Monster Zones when resolving the effect that Fusion Summons the revealed monster, the effect is not applied. (The revealed Fusion Monster will remain in the Extra Deck.) Even though the Fusion Monster was not Fusion Summoned, Future Fusion remains face-up on the field. Q: Can I activate Future Fusion while the effect of Vanity’s Fiend is applying? A: Even while the effect of Vanity’s Fiend is applying, you can activate Future Fusion. Then, during your next Standby Phase, the effect that reveals 1 Fusion Monster from your Extra Deck and sends its Fusion Materials from your Main Deck to the Graveyard is applied normally. During your second Standby Phase after activating Future Fusion, if the effect of Vanity’s Fiend is applying when resolving the effect that Fusion Summons the revealed monster, the effect is not applied. (The revealed Fusion Monster will remain in the Extra Deck.) Even though the Fusion Monster was not Fusion Summoned, Future Fusion remains face-up on the field. Q: Can I activate Future Fusion while the effect of Non-Fusion Area is applying? A: Even while the effect of Non-Fusion Area is applying, you can activate Future Fusion. Then, during your next Standby Phase, the effect that reveals 1 Fusion Monster from your Extra Deck and sends its Fusion Materials from your Main Deck to the Graveyard is applied normally. During your second Standby Phase after activating Future Fusion, if the effect of Non-Fusion Area is applying when resolving the effect that Fusion Summons the revealed monster, the effect is not applied. (The revealed Fusion Monster will remain in the Extra Deck.) Even though the Fusion Monster was not Fusion Summoned, Future Fusion remains face-up on the field. Q: Can I activate Future Fusion during the turn I activated Pot of Duality or Parallel World Fusion? A: Even if you activated Pot of Duality or Parallel World Fusion this turn, you can activate Future Fusion. Also, during the turn the effect of Future Fusion that reveals 1 Fusion Monster from your Extra Deck and sends its Fusion Materials from your Main Deck to the Graveyard was applied, you can also activate Pot of Duality or Parallel World Fusion normally. During the turn of your second Standby Phase after activating Future Fusion, after resolving the effect that Fusion Summons the revealed monster, you cannot activate Pot of Duality or Parallel World Fusion. Q: Can I activate Future Fusion while the effect of Koa’ki Meiru Drago is applying? Q: If Prohibition was activated by declaring the name of a Fusion Monster, or the name of a Fusion Material monster, can I activate Future Fusion? Also, if the effect of Prohibition is applying, how will the effects of Future Fusion apply? A: If Prohibition was activated by declaring the name of a Fusion Monster, or the name of a Fusion Material monster, you can activate Future Fusion. If the name of a Fusion Monster was declared with Prohibition, then the effect of Future Fusion reveals 1 Fusion Monster from your Extra Deck and sends its Fusion Materials from your Main Deck to the Graveyard is applied normally. During your second Standby Phase after activating Future Fusion, if the effect of Prohibition is applying, the effect of Future Fusion that Fusion Summons the revealed monster will activate, but the effect will not be applied. Furthermore, if the name of a Fusion Material monster was declared with Prohibition, the effect of Future Fusion reveals 1 Fusion Monster from your Extra Deck and sends its Fusion Materials from your Main Deck to the Graveyard is applied normally. (You can still send a monster to the Graveyard that was declared with Prohibition.) Afterward, even if the effect of Prohibition continues applying, the effect of Future Fusion that Fusion Summons the revealed Fusion Monster is applied normally. Q: When the effect of Future Fusion that reveals a Fusion Monster from the Extra Deck and sends its Fusion Materials from the Main Deck to the Graveyard is activated, my opponent chains Mystical Space Typhoon and destroys Future Fusion. In that case, how does the effect of Future Fusion resolve? A: When resolving each effect of Future Fusion, if Future Fusion is not face-up on the field, the effect is not applied. In this scenario, the effect that reveals a Fusion Monster from the Extra Deck and sends its Fusion Materials from the Main Deck to the Graveyard is not applied, nor does the effect that Fusion Summons a monster during the second Standby Phase after activating the card apply. Q: When the effect of Future Fusion that reveals a Fusion Monster from the Extra Deck and sends its Fusion Materials from the Main Deck to the Graveyard is activated, my opponent chains Macro Cosmos. In that case, how does the effect of Future Fusion resolve? A: In this scenario, the effect of Future Fusion resolves while the effect of Macro Cosmos is applying. At this time, the Fusion Materials sent from the Deck to the Graveyard are banished instead, but the effect of Future Fusion that Fusion Summons the revealed Fusion Monster is applied normally. Q: After Future Fusion is activated, if the effect of Solomon’s Lawbook that skips my next Standby Phase is applied, how does each effect of Future Fusion resolve?